I made one card in violet colour. All new Tildas are so sweet and lovely. I chose Tilda binding flowers. Thank you for visiting my blog and have a nice day. Hi Pona, thanks for your lovely comments on my blog. I do love your fabulous blog header!! wonderful card, I just love seeing these gorgeous new Tilda stamps coloured up. 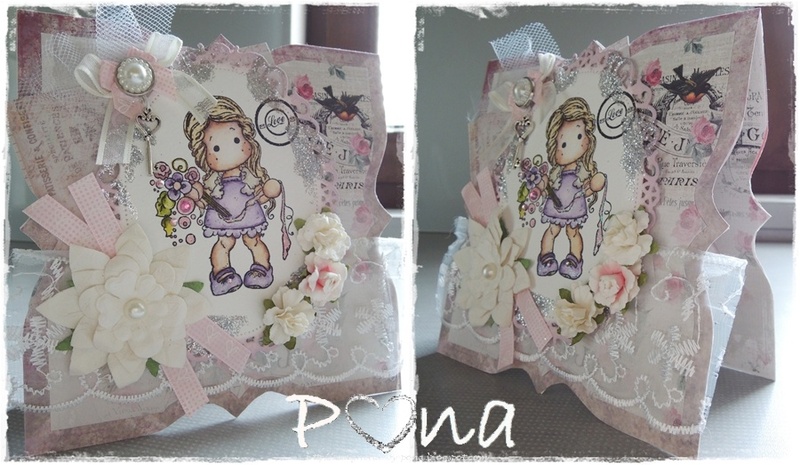 Gorgeous card Pona! Tilda is just awesome! Thank you for joining us at LHOSM! Hope to see you again!